The exhibition and the international symposium are the finale of a two-year interdisciplinary research project investigating the interdependencies that exist between gestures and ubiquitous, globally networked technologies. To display and displaying oneself gains greater significance within the context of the unrestricted and instantaneous global exchange of video material as well as in an everyday world increasingly defined by sensors and computers. Thus the meaning of presence and publicness changes, evolves and new forms appear. Over the course of two years a group of scientists and artists have collaborated in international workshops bringing together their various fields of research and artistic media, such as: Visual art, dance, sound and performance art, as well as media studies, history of technology, and social sciences. Against this background, the final exhibition presents our artistic-scientific results to a broader public. The symposium shall enable a further and in-depth discussion on our findings, methods and work processes. Registration is free of charge, but participants are required to register: egmp@hbk-bs.de. The panel assembles different perspectives on this entanglement in order to discuss, what forms of gestural affections, expressions, practices and meaning emerge in different historical and technical constellations. The panel approaches the political gesture by observing that the media-communicated protest gesture is/becomes prevalent in popular culture as well as in art. 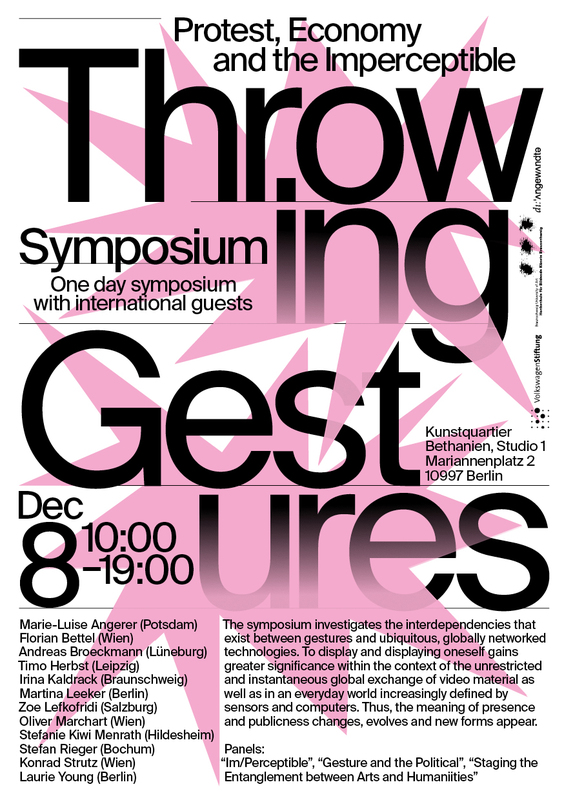 The re-enactment and the transmission of protest with and by gesture – beyond the spatial as well as temporal, even beyond the physical context – is the focus of the discussion. The panel reflects the work processes between artistic and scientific actors in interdisciplinary projects, including the example of cooperation in the project EGMP. 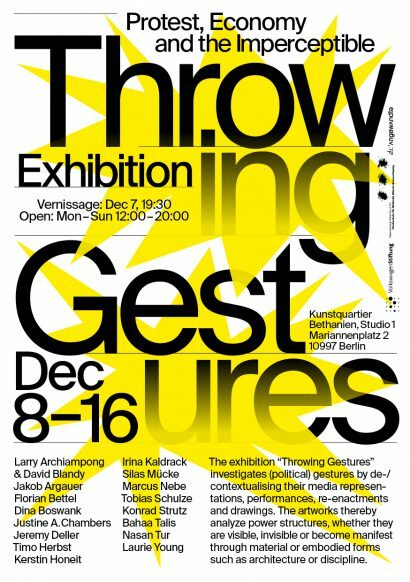 The interdisciplinary collaboration of artists and scientists, the (self-)organization or methodology of collaborative working as well as the presentation of such work processes in project results such as exhibitions are treated topics. 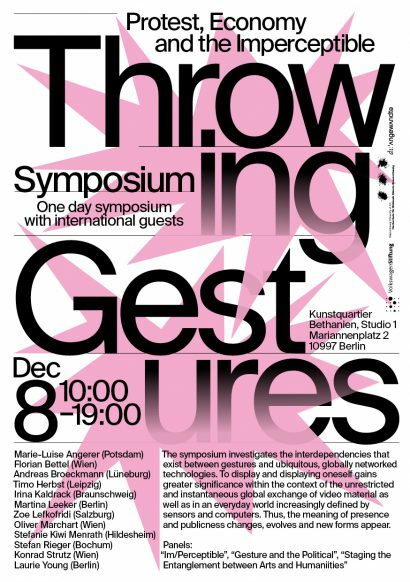 For more information, see: https://gesture-media-politics.de/workshop/symposium/.